Usually we pitch junk mail straight into the garbage, but an envelope we recently received featured the logo of a hotel chain where we have a rewards account, so we opened it. Unfortunately, the logo was a spoof and the mailer merely contained an offer to attend a free lunch seminar which included a pitch on how to "Make Money with Income Properties." We did not attend, but would venture a guess that this speaker is profiting more from the sale of education materials and conferences than from the actual selling of real estate. What really caught our eye though, was an offer for up to $750K of pre-approved real estate funding - regardless of your credit score. What do you suppose the risk weighting is for a loan like that? Perhaps this lender is not subject to Basel III. This reminded us it is time to check in on Basel III and the new risk weightings. There is finally more clarity around lending sectors that have new requirements. As a general rule, we note that the standard risk weighting for commercial loans is 100%, just like pre-Basel III. There are exceptions though and one category where banks can reduce the risk weighting is for certain multifamily loans. The risk weighting of a multifamily loan can be 50%, so long as the loan meets ALL of the following criteria: 1) LTV Ratio must be less than 80% for fixed rate or less than 75% for floating rate. If the loan was used to acquire the property, LTV must be based on lower of acquisition cost or appraisal; 2) the loan must be less than 90 days past due and not on non-accrual status; 3) the borrower must have made all payments of principal and interest for at least the year preceding placement in this category, or in the case where the existing property owner is refinancing a loan on the property, all principal and interest payments on the loan being refinanced must have been made on time for at least the year preceding placement in this category; 4) the amortization period must not be more than 30 years; 5) the original maturity must not be less than 7Ys and finally; 6) the annual net operating income (before debt service) generated by the property during its most recent fiscal year must not be less than 120% of the loan's current annual debt service (115% if the loan is based on a floating interest rate). Remember, the loan has to meet ALL of these requirements in order to have a 50% risk weighting. The reduced risk weighting is interesting in that more than one regulator has warned recently of froth in the multifamily market and the possibility of elevated risk in this fast-growing lending sector. Given the goal of Basel III is to fit the amount of capital required with the relative risk of a given loan, there could be additional changes down the road. In the meantime, banks that lend in the multifamily sector can take advantage of the reduced capital requirement by following all of the rules. In spite of the offer of a free lunch and a growling belly, we did not attend the real estate seminar. However, a quick look at online reviews showed that the primary push was to get people to attend a 3-day seminar for a large chunk of change. Those same reviews unfortunately also showed that those who attended the expanded seminar were pretty angry about it. We would guess that as a result, bankers needn't worry about the associated lender's risk weightings or capital requirements. For your bank, understanding the new risk weightings is critically important. Everything in banking depends on capital after all, and its efficient deployment is the most important job of any bank. 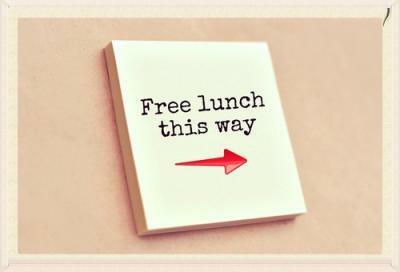 Stay tuned as we report more nuance regarding Basel III and always beware of the real price of a free lunch. The ECB/Greek Impasse will be on the front burner with few economic reports of importance. Treasury yields rose around 3bps as Personal Income and Spending rose. Inflation (PCE) was in line with expectations. 1) The Farmers National Bank of Canfield ($1.2B, OH) will acquire 1st National Community Bank ($139mm, OH) for $14.2mm in cash (25%) and stock (75%). The Supreme Court has ruled on disparate-impact, indicating claims of racial discrimination in housing cases should not be limited by questions of intent. Disparate impact relates to practices in employment, housing or other areas may be considered discriminatory and illegal if they have a disproportionate "adverse impact" on persons in a protected class. The ruling means people who file housing-discrimination lawsuits don't have to show they were victims of intentional bias and instead can sue using statistical evidence that shows there has been a disparate-impact on a protected class. Bank regulators are urging banks to keep up-to- date on cyber developments and risks by signing up with Financial Services Information Sharing and Analysis Center (FS-ISAC), US Computer Emergency Readiness Team (US-CERT) and InfraGard (a partnership between businesses and the FBI). Fed Governor Powell said in a recent speech that when the Fed begins to raise rates it "will be a very different environment than in the past." He indicated bank reserves are plentiful, but that "lift-off may not go so smoothly in terms of the impact on financial asset prices." A Bank Director survey on compensation finds banks with assets >$5B say they meet at the following frequency for the indicated committees: Loan committee (11.5); Holding company board (9) Audit (8); Risk (6.5); Compensation (6); Lead bank board (5); Executive (5); and Governance/nominating (5). RiverNorth Capital Management has filed with the SEC for permission to invest the fund's assets into loans originated through online lending marketplaces. If permission is granted, this will be the first closed-end mutual fund focused on marketplace lending and would serve to boost liquidity for origination platforms. B of A/Merrill Lynch economists forecast Q2 GDP will be 2.5% and Barclays projects it will be 3.0%.